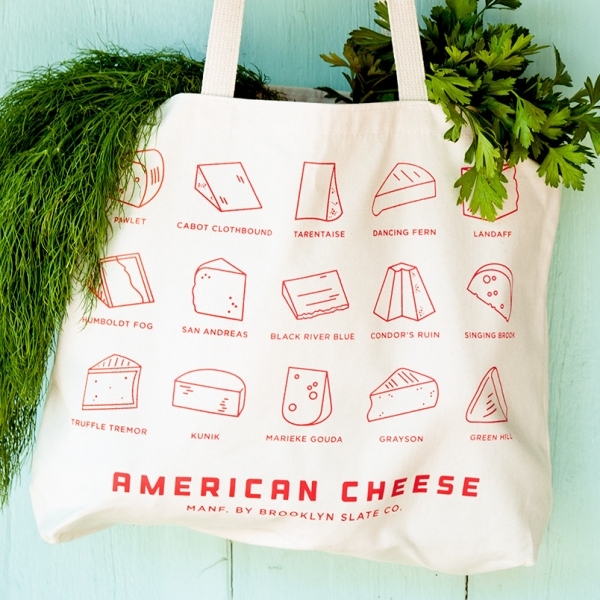 Our American Cheese Tote Bag features original illustrations of some of our favorite domestically produced cheeses. Tote measures 18" wide by 14" tall. Printed in the USA.